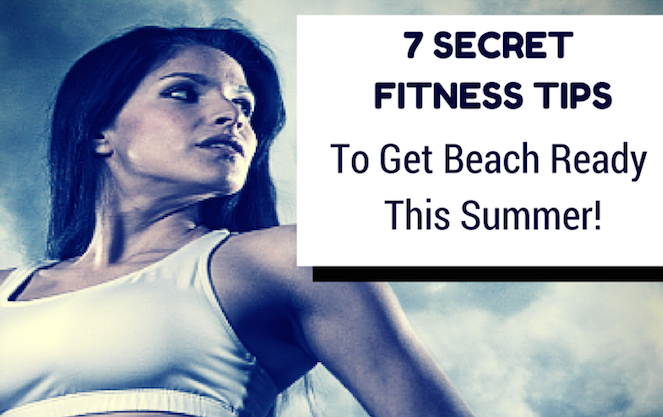 Follow this guide and you will lose fat and can get in to serious shape; be prepared to feel confident and turn heads when you walk along the beach this summer! Ok so this may be a surprise to you but if you go to the gym 3 times a week and do tons of cardio, you are NOT going to drop a dress size. It’s so frustrating, over the years I’ve been in many gyms and seen hundreds of women killing themselves doing tons of cardio in the in the hope it’s going to make them look amazing. Look here, I’m telling you now, running makes you good at running, but it is not going to get you to drop a dress size. Here is what you need to do. Now don’t be scared, but you have to pick up some dumbbells, kettle-bells and use some bodyweight exercises! Yes, you have to leave the part you feel ‘safe’ (the cardio area), get a some space, some weights and crank out some metabolic conditioning drills!! I know what you are thinking, ‘but weights will make me really muscly and bulky…’ – listen to me, no, it will not. Men, who have ten times the amount of testosterone and a lot more muscle mass than you will lift weights for years, plus often take tons of supplements and whatever else in the quest to add a centimetre to their biceps, so you are not going to turn into ‘Arnie’ by adding some resistance work into your gym routine. Never in a month of Sundays, it just does not happen. If you’re looking for a toned physique then metabolic conditioning training is the only way to achieve this. Too many women, become obsessed with cardiovascular training to lose weight and neglect the dumbbells. Studies reveal that a combination of resistance training and cardiovascular exercise results in considerably lower body fat over a 12 week period than engaging in cardiovascular exercise alone. When you work your muscles hard during a metabolic resistance training session, your body has to use calories after training to repair the muscles ready for the next training session. The body can take 24 to 72 hours to completely recover and you continue to burn calories during this period. This is due to the fact that resistance training elevates EPOC (Excess Post-Exercise Oxygen Consumption). So there is no need for you to do spend hours doing long, boring sessions on a treadmill. Metabolic Conditioning Drills (using resistance with weights or your bodyweight) will ensure that you maintain your muscle mass whilst losing body fat. By eating a healthy balanced diet and training regularly you will enable your body to become far more efficient at BURNING BODY FAT! This is the first step to change your shape and drop a dress size. Cardio has its place but that is strictly for High Intensity Interval Training (HIIT) which shall be covered next in the Step Number 2. Top Tip: Always make sure you check your body fat percentage, take and compare your body girth measurements and never rely solely on weight alone. You can lose no weight (according to the scales) and have lost 4lbs of body fat. It is your BODY FAT level that gives you the most accurate information relating to your physique. Do not weigh yourself more than once per week. Your body takes approximately one month to adjust to permanent changes. Your weight can fluctuate on a daily basis and if you’re someone that relies on the scales to make or break your day, you’re going to be disappointed if you don’t see the result you want to. I would rather you stay focused on what you want to achieve and remain in a positive state of mind, until a time that is reasonable for your body to have changed sufficiently for you to see a true reflection. The best way to burn the most body fat whilst doing cardiovascular exercise is by engaging in High Intensity Interval Training (HIIT). During HIIT, you do an interval phase of intense exercise (exercising at 80-90% of your maximum heart rate) followed by a recovery phase of low intensity exercise (walking or rest). This burns more fat than continuous, steady-state cardiovascular exercise at a moderate intensity (jogging along at 60-70% of your maximum heart rate) that most people engage in, which can also be mind-numbingly boring. During different types of training, the body uses different sources of fuel to provide energy for the activity. During steady-state cardiovascular exercise, the body uses a high percentage of body fat to fuel the workout but post training, the body then switches to use glycogen stores (stored sugars) to provide energy. Glycogen stores normally last all day. This is why steady- state cardiovascular exercise is recommended for burning body fat. HOWEVER, what they don’t tell you is that during High Intensity Interval Training, the body uses and depletes its glycogen stores (stored sugars) and post training the body then uses body fat to provide the energy for the rest of the day, as the body cannot replace glycogen stores immediately. So, you can see that HIIT, is far superior, long-term in utilising body fat to provide energy for the body. If you engage in HIIT, then for the rest of the day, your body is in fat burning mode! The amount in litres you need to drink each day as a MINIMUM. DO NOT DRINK TAP WATER THOUGH! Tap water is treated with a large number of chemicals in order to kill bacteria and other microorganisms. In addition, it may contain other undesirable contaminants like toxic metal salts, hormones and pesticides. It may also become contaminated by chemicals or microbes from within the pipes (e.g. lead, bacteria, protozoa). Either buy bottled water – the bigger the container/bottle the better, or use a bottle with a built-in filter. I think these are awesome as once you have finished the bottle you can just fill it up from a tap and you are ready to roll again. These bottles are available in all good kitchen stores or we actually hold them in stock at Paragon Fitness Studio. Top tip: Given the choice between ‘sparkling’ and ‘still’ go for the still version as carbonated mineral water empties the stomach too quickly not allowing digestive processes to be completed properly. Well done your half way through!! Why come along for FREE taster class at the studio? Your body does not want to hold on to body fat as it is far easier for the body to function correctly and efficiently at optimal body fat levels. However, when you eat or drink processed foods, alcohol, bad fats, too much caffeine and refined sugar, your body becomes overloaded with the toxins they contain. This causes your body to retain body fat and will prevent your body from turning into a fat burning machine. This is also why a lot of people end up with with a distended stomach that becomes more bloated throughout the day. You can live on processed, low-fat food and diet coke to lose weight, but your body will be so toxic that you’ll find it hard to keep the pounds off. The body stores toxins in fat cells; however, if you start to lose body fat, the toxins will go into your system, making you feel tired, unwell and you will probably suffer from headaches. Your body then quickly decides that it doesn’t like feeling this way, so it holds on to fat in order to store the toxins (it’s safer to store toxins in your fat cells, rather than floating around in your system). Therefore, if your body is toxic, losing weight is always going to be a long, hard process and you will feel miserable, deprived and tired most or all of the time. If you clean toxins out of your system, you will find losing body fat simple and dramatic. So, what are clean foods? Foods that haven’t changed much from their natural state; for example, an apple is in its natural state, whereas a crisp doesn’t resemble a potato. Foods that don’t last for months or years; they go off after a short while. For example, fruit and vegetables contain fewer than 5 or 6 ingredients, don’t list sugar as their main ingredient, don’t make you feel bloated, gassy or uncomfortably full. They also satisfy you, so that you’re not hungry after eating them. This ones not to hard to work out, eh? When we are drunk we are intoxicated. That means you are putting a toxin in to your body! In turn your body has to work incredibly hard to detoxify itself. It takes your body 3 days to work extremely hard to detoxify your system placing stress upon your liver, kidneys and adrenal glands. Alcohol also causes insulin secretion, blood sugar imbalance and increased body fat storage! With the exception of beer, alcohol is just liquid sugar! You might as well spoon feed yourself a packet of sugar that sends your blood glucose levels up and down like a yo-yo. Perfect for adding weight. I thought bread and pasta is healthy. Well actually for most people wheat is indigestible and leaves your metabolism sluggish. Also, modern wheat is highly processed and is pretty much the same as simple sugar. It’s not that wheat is the worst thing ever it’s just that these days it really is highly processed and the body doesn’t recognise it. With this in mind, you will avoid wheat bread, pasta, cakes, pies, biscuits etc. Be aware that a lot of processed soups and sauces have gluten added thickeners in them. It’s not that getting that quick hit of energy is particularly bad, it is a little. It is that it leaves you in need of sugary foods after those massive energy fluctuations. Avoid all caffeine in regular tea, coffee and fizzy drinks. These are also highly acidic which again is not good for our health and caffeine stimulates the body’s production of the hormone cortisol – which loves to store fat around our mid-section, so that’s the perfect reason to knock it on the head! No nutritional value and full of additives and preservatives to increase shelf life. If it has an e-number, unpronounceable name, pre-cooked, pre-baked or packaged for long life then it’s out. Pretty much all low-fat products have had all the nutrients removed and replaced with sugar. They need to be avoided at all costs, much better to have full fat organic yoghurt (as explained in the dairy section) which has the necessary bacteria and enzymes the body requires. Basically, if it wasn’t around 1000 years ago, don’t eat it. Also if you microwave anything you might as well cook it with a nuclear bomb. Maybe it’ s just me and my fellow fitness professionals, but are we the only ones that think when something takes 2 minutes to microwave compared to 30 minutes in the oven it suggests something is not right? A very famous news story in the media highlights why microwaves are best avoided! A hospital was prosecuted after the death of a blood transfusion patient who died as a direct result of her blood being warmed up in a microwave. The waves completely changed the make-up of the blood, rendering it unusable! Sugar creates an insulin response that leads to energy fluctuations, fat storage and type 2 diabetes. Sugar has serious health implications and you must avoid it. Remember sugar is put into loads of foods and drinks. Such as milkshakes, fizzy drinks, chocolate bars, breakfast cereals, pastries etc. When you think about it, isn’t it strange that we drink the milk of another species? Actually, we are the only species on the planet to drink any sort of milk after infancy. About 70% of us stop producing lactase, the enzyme needed to digest lactose (milk sugar), after we’ve been weaned as babies. This does not bode well for our digestive system and internal organs and can cause rashes, eczema, asthma-like-symptoms and metabolic conditions. Cow’s milk is designed for calves just as human milk is designed specifically for babies. We don’t go force feeding cow’s our milk do we. I know you’re probably thinking “ but where am I going to get my calcium from?” There is just as much calcium in broccoli and spinach as there is in milk, plus the human body can better digest it. Think about what cow’s eat all day? Grass, that’s right your Mum was completely right, make sure you eat your greens. Not all dairy is “ bad” . You are allowed to have unflavoured organic Greek or live yoghurt’s. This means non-pasteurised or homogenised and contains live bio-cultures. With all this in mind you will avoid all milk and cheese that has been pasteurised or homogenised. Red meat is incredibly difficult to process and takes a long time to digest, which not only can slow down your metabolism, it can decrease your digestive efficiency, as well as being incredibly acidic. These factors mean that red meat is not a great tool for weight loss. Pretty simple really, when you think about it. Eliminating those 7 foods and drink from your diet will really set you up for serious fat loss and great energy. Top Tip: If you don’t eat sufficient food containing vitamins and minerals, your body’s store of these nutrients becomes depleted and you will find it extremely difficult to metabolise food and and utilise body fat as an energy source. Eat foods that are full of natural energy like fresh fruit, fresh vegetables, fresh fish and meat, nuts and seeds. These foods are full of vitamins, minerals, water, fibre and will provide you with all the energy you need to live an active life and ensure that your body is efficient at metabolising body fat. Most people do not associate fat loss with sleep; however, scientific studies show a strong correlation between sleep deprivation and weight gain. Our bodies main job is to regulate temperature, secrete hormones and monitor brain chemistry production. It does this on a 24-hour cycle and if we get out of sync, the hormones that regulate hunger get out of balance. In particular, lack of sleep causes an imbalance in the hormones Ghrelin and Leptin. With reduced sleep Leptin levels reduce and Ghrelin levels rise; Ghrelin is an appetite-inducing hormone that makes us eat more but with adequate sleep this is balanced by Leptin, which decreases hunger and increases the metabolic rate. Lack of, or disrupted sleep causes body fat storage and also stimulates muscle-wasting hormones such as cortisol. Top tip: Regular and healthy sleeping patterns are important in keeping your metabolism elevated and in providing you with sufficient energy levels and motivation for living a healthy lifestyle. The recommended amount of unbroken sleep is 7– 7.5 hours per night and the optimum sleeping hours are 10.30pm – 6.30am. A cheat meal? What’s that all about then? Well there are two main reasons for this. First of all it is your reward for eating clean and healthy throughout the week! There will be times when it’ s tough to stay on track so if you have something to look forward to its easier to stick to the plan. You may be thinking how is this Cheat Meal possible, right? It is because of a hormone called LEPTIN, which in simple terms releases fatty acids to be used by the metabolism for energy. your Leptin levels, by having your cheat meal it will increase your Leptin levels, stimulating the release of those fatty acids when you go back to eating clean again. PLEASE NOTE: This is a CHEAT MEAL not a CHEAT DAY! Top tip: I highly recommend having the CHEAT MEAL on a Sunday night and no other night. This is so when Monday morning comes you go straight back on to the plan. If you do this on a Friday night chances are you will pig out for the rest of the weekend which does not work! As we have discussed, there are many ways you can change your lifestyle to ensure that your body is efficiently burning body fat. However, you can make changes to your nutrition and to your exercise but if you don’t engage the most powerful part of your body – your MIND, you will never reach your full drop a dress size potential! responses and thought processes that you have today are not new, they are the result of patterns of previously learnt behaviour from similar events in your past. The unconscious mind is where all your previous experiences and beliefs are held. For example; if you have used food as a form of distraction or to comfort an emotion that you’re feeling, then your unconscious mind will repeatedly present the same solution – food! Equally, if you think that losing weight and exercising is difficult, then your mind will find a solution to these thoughts and you will be presented with a reason not to exercise or thoughts of giving up. Ultimately, your unconscious thoughts, beliefs and memories will determine your behaviour. And, the longer you have been thinking this way, the easier your mind will present these solutions. Often, people that are looking to lose weight will find that the unconscious mind will have a number of reasons why it feels best for them to stay overweight. Can you think of any negative thought patterns that prevent you from losing weight? For example, ‘I’ve always been big so I’ll never lose weight’. The good news is that the unconscious mind is not hard wired and patterns of thinking can be re-learnt. To change your behaviours, you first need to change your thinking and practice doing things differently. Top tip: There are many people out there with normal body fat levels and people that have lost weight and manage to keep it off. Those that have lost weight have successfully learnt to re-programme their mind with new information and have learnt new behaviours and habits. 1. I regularly get 7-9 hours sleep per night in order to bring about the greatest regeneration for my body? 2. I regularly exercise 3-5 times per week, regardless of the type of day that I have had? 3. I know what my body fat percentage is? 4. I know what percentage of fat I want to attain? 5. I know what my visceral fat level is? 6. I know what visceral fat level I want to attain? 7. I know what my metabolic age is? 8. I check my weight and body fat levels no more than once per week? 9. I include High Intensity Interval Training within my exercise programme? 10. I include Metabolic Conditioning Drills within my exercise programme and perform this at least 3 times per week? 11. I drink alcohol less than twice per week? 12. I drink less than 2 cups of coffee or tea per day? 13. I avoid processed and packaged food at least 80% of the time? 14. I always check saturated fat levels on food labels and I do not have high levels of saturated fat in my diet (excluding coconut oil)? 15. I always check sugar levels on food labels and I do not have high levels of refined sugar in my diet? 16. I know what Trans Fats are and I avoid them wherever possible? 18. I have a strong image of my desired physique? 19. I have identified any negative thought patterns and beliefs that may be preventing me from achieving my desired weight and body fat levels and am working on changing them to positive thought patterns? If you scored between 1-9, there are lots of things that you can still do to maximise your fat burning potential. I suggest taking each of the above questions that you answered no and work to improve that particular area. Don’t despair, the more you have to work with, the quicker you will see the results! If you scored between 10-15, you are obviously already doing many of the things required to become efficient at metabolising fat. Keep doing the things that you are doing well and give yourself a huge pat on the back. As above, any questions that you answered no, work hard to improve these areas and you will be well on the way to hitting your desired body fat target! If you scored between 16-20 congratulations! It is likely that you’re already efficiently utilising body fat as an energy source, well done. In most cases, there is always room for improvement, even if it is minor adjustments; small changes can make a huge difference. Be very specific about what you want to achieve and continue to work towards this target. I always recommend with any training plan to keep a log of your progress. I include a simple but effective wall chart for all my clients to monitor their daily nutrition and workouts. I also love to hear your success stories, so please email me at robbie@paragonfitness.co.uk and share your success!